Many of us feel intimidated about our prayer life—we look at other Christians, and prayer seems to come naturally to them. But somehow we feel that we just don't "get it." Author Mary Lou Redding reminds us that the disciples were with Jesus continually, and still they had to ask him for help in learning how to pray. That should reassure us, she says. Because the Lord's Prayer is so familiar, we run the risk of praying it by rote without really thinking about the meaning of the words. Redding explores this ancient prayer phrase by phrase and helps us see how it can be a model for all of our praying. Rather than approaching scripture from a scholarly standpoint, Redding invites us to consider passages with our hearts. She encourages us to make connections between the scriptures and our daily lives. As an added benefit, Redding leads us through several classic Christian spiritual practices, such as examen, journaling, and reflective reading of scripture. 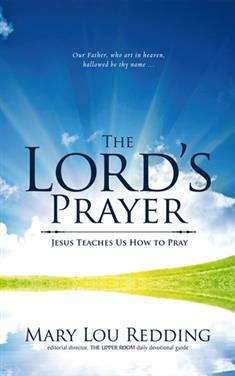 This book is a great resource for a congregational study on the Lord's Prayer. It will help anyone enrich their faith and deepen their relationship with God.